Staff Sgt. 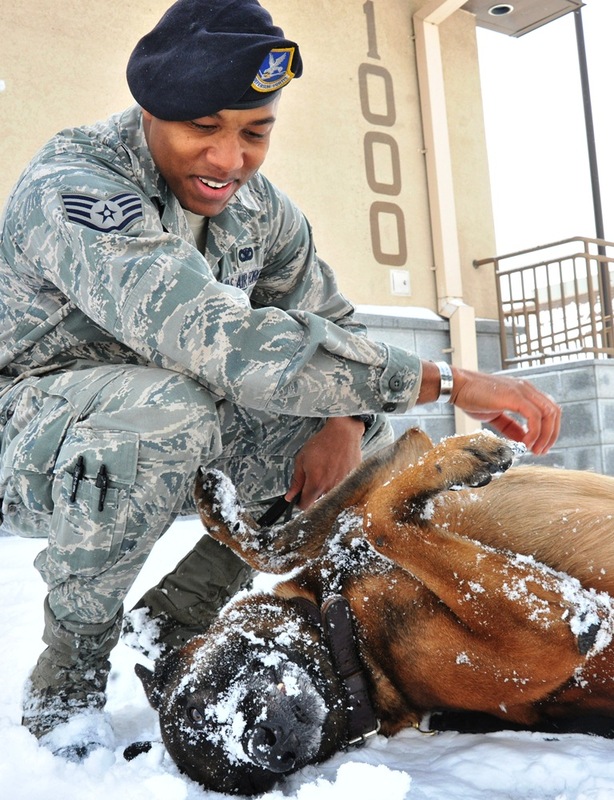 Mark Bush, 8th Security Forces Squadron military working dog handler, takes a break from validation training with Iian, 8th SFS military working dog, at Kunsan Air Base, Republic of Korea, Jan. 4, 2012. There’s no question that the military working dogs work hard and have saved many lives in Afghanistan. The photo of the week from Kevin Hanrahan lets us share in enjoyment of military working dogs on their snow day. 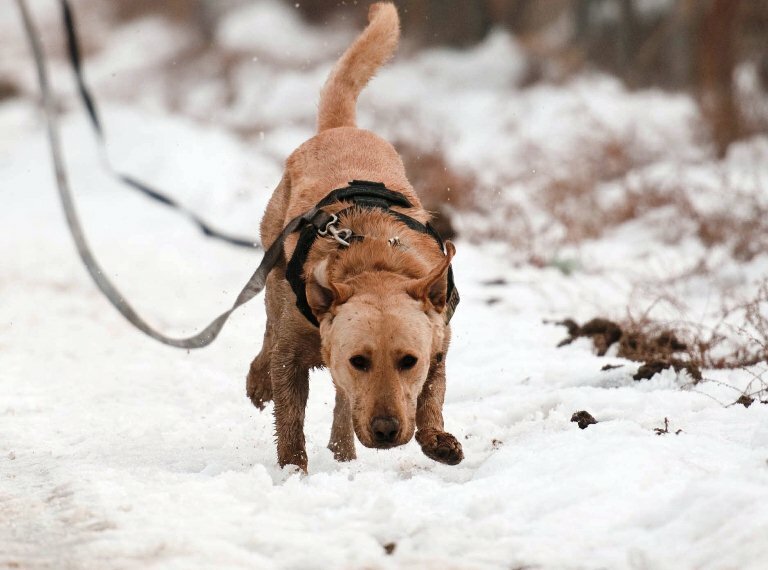 But snow didn’t mean play for all military working dogs. The military working dogs at Bagrahm Air Base in Afghanistan spent their snow day training to keep their explosive sense of smell sharp. You can see more of Kevin Hanrahan’s military working dogs photos here.